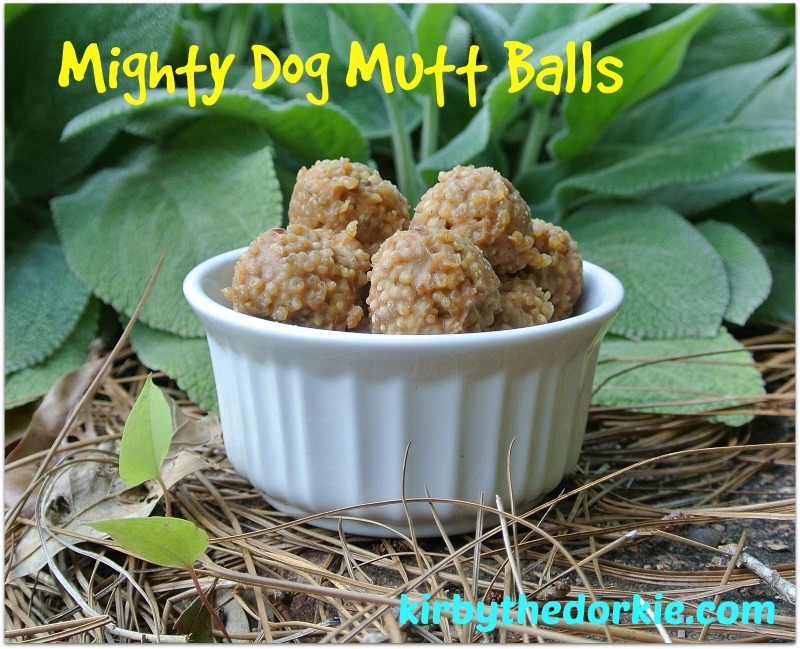 Looking for a healthy and easy to make snack recipe for dogs? 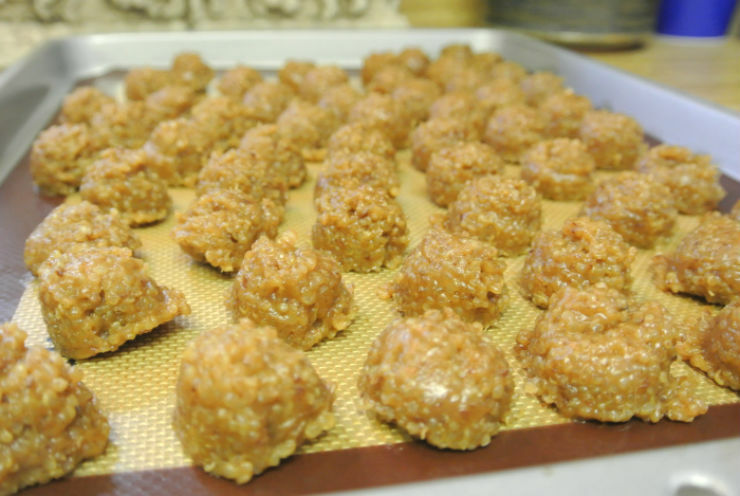 Then you are going to enjoy these Mighty Dog Quinoa Balls from The Canine Chef Cookbook! Quinoa (pronounced KEEN-wah) are edible seeds which are similar to cereal grains, but much more nutritious. These grains have been called a "super food" for their high protein and other nutrient content. Quinoa has become a popular staple for health-conscious people, and it has many health benefits for your dog as well! Boil the quinoa and 2 cups of bone broth in a small pot. Cover and simmer for 18 to 20 minutes then remove from heat. No need to drain the quinoa. Mix in the warm (not hot) quinoa with the other ingredients. 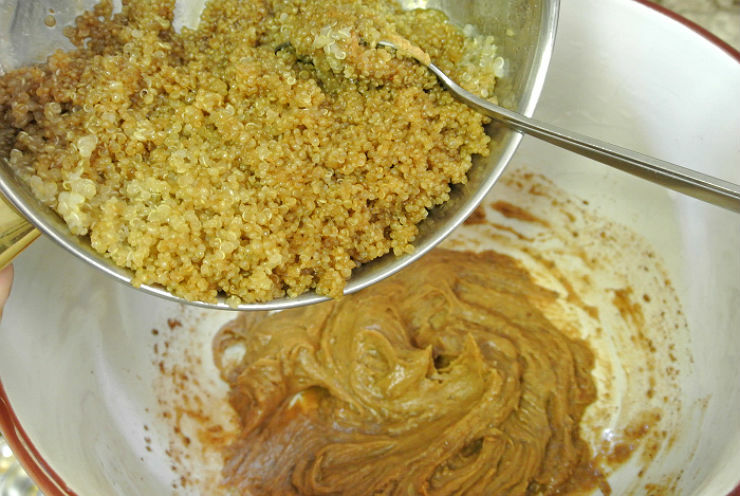 Make sure the quinoa is warm enough to melt the peanut butter to help with mixing. You can use plain water when cooking the quinoa instead of broth, but the broth is tastier and more nutritious. Make sure that the ingredients of the broth are dog safe. The quinoa balls should keep in the refrigerator for about a week or in the freezer for up to three months. Serve cold. What do you think of this dog-friendly cupcake recipe? What are some of your favorite ingredients? Let us know in the comments!